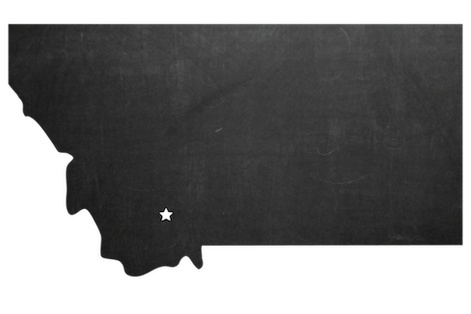 Hooked Outfitting is a Madison River fly fishing outfitter based in Ennis, Montana. Ennis is the perfect base camp for fly fishing the Madison River and a central location from which to explore southwest Montana's best fishing. A quiet trout town on the banks of the Madison River, Ennis is positioned within two hours of eight of our nation's best trout rivers in addition to many creeks and lakes. Madison River fishing guides and fly fishing trips are our specialty but we regularly travel to other rivers to show anglers a variety of water. We offer guided float trips on the Madison, Yellowstone, Jefferson, Gallatin, and Missouri rivers as well as some great local lakes, small streams and secret spots. We specialize in custom Montana fly fishing vacations with the most enthusiastic and experienced guides. All the guides are great with beginners and work hard to put anglers of all levels in a position to succeed. Whether you are looking for a Madison River day trip, a multi-day and multi-river adventure trip or an all inclusive, gourmet lodging and dining package, we will customize a trip that is perfect for you. Upper Madison River fly fishing trips are our most popular summer option but spin fishing and wildlife viewing floats are available. For anglers who are fishing for several days or are here in the spring or fall, we highly recommend trying rivers like the Jefferson and 'the Land of the Giants' to target larger trout. Madison River fly fishing reports and updates on Ennis Montana fishing related news in addition to videos, history and anything interesting that relates to Montana fly fishing... and fish pictures! Our Montana fly fishing gallery is where we show off our best moments in scenery, wildlife and trophy trout from our Madison river fly fishing trips and beyond. 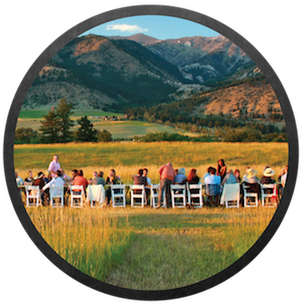 We are excited to offer lodging, dining and fishing packages on the Madison River in Ennis Montana. Madison river, Ennis Montana fishing, lodging and dining in an inclusive package with our own Madison River fishing guides. Looking for the full Madison river fly fishing, lodging and dining experience near Ennis Montana? Let us customize a lodging and fishing package that is perfect for you. Packages include lodging, dining and our own Madison river fly fishing guides. We have a variety of comfortable Madison river and Ennis Montana lodging options for groups of all sizes. 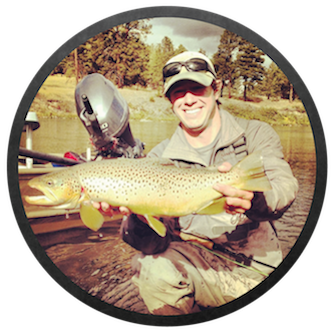 The fly fishing and lodging packages feature the same great Madison River fishing guides that you would expect on any trip with Hooked Outfitting. Lodging and fishing in Ennis Montana puts anglers next to the Madison river, while allowing access to many of Southwest Montana's best fly fishing waters within close enough proximity for a day trip. These packages combine excellent lodging, dining and fishing at a package rate. Not interested in an inclusive package? Ennis Montana and the Madison valley offer a variety of lodging and and dining options with the charm of a small laid back Montana fly fishing town.